The foodie revolution is impacting heritage tourism in a big way in Tennessee. 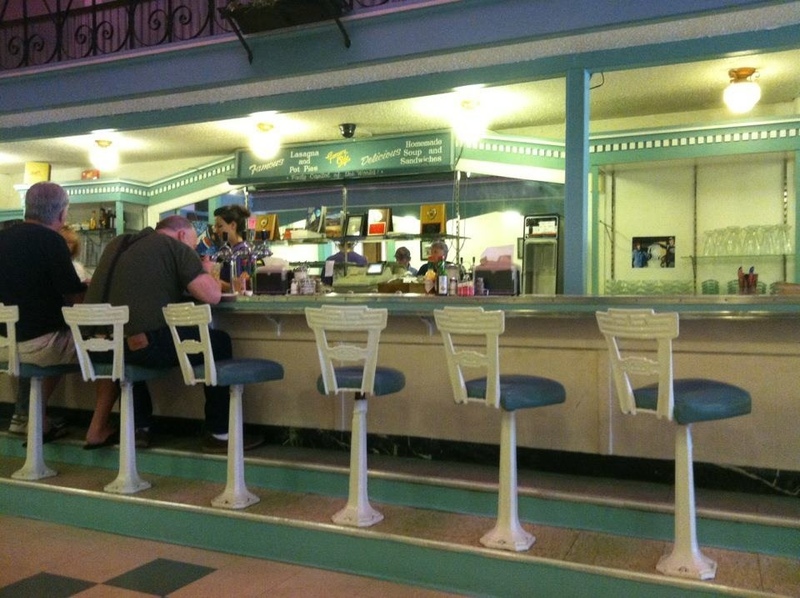 In southwest Montana last spring I found, to my great pleasure, many heritage cafes and restaurants still humming along, such as this 1930s counter at Gamer’s in Butte. But no doubt there are many more national chains in the state than before. Finding the heritage businesses of the Hi-Line and seeing how they made it through the last 30 years will be one of the fun patterns to explore starting May 23. I am looking forward to following your journey. Having lived in northeastern Montana my first 18 years and then spending holiday time there for the next 5 years (1945 – 68) I welcome the opportunity to travel “back” to Montana on a regular basis and see what has changed, and has not. I grew up in Deer Lodge and often went to Butte with my mom and my grandmother. Lunch was usually at Gamer’s where we were accompanied by my Great Aunt Maud. What was hilarious to me as a child was that Maud and the equally venerable waitress had some sort of long term feud going on and would only speak to each other through a third party. Waitress to my Grandmother Mildred: “What would Maud like to have for lunch.” Mildred to Maud: “What’ll you have for lunch Maud?” Maud to Mildred:”I believe I’ll try the pastie.” Mildred to waitress:”Maud will have the pastie.”etc. ad invinitum. By that point I was in compete hysterics. Can’t believe I mispelled pasty. Urrggghhh! web page and to this point? I amazed with the research you made to make this particular publish incredible. get benefit from iit I am sure.